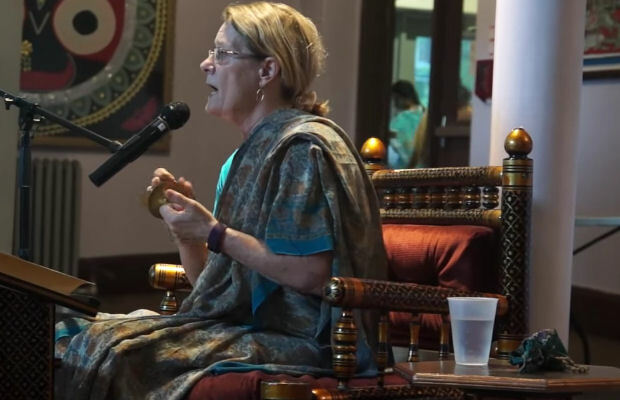 Radhastami Celebrations Video & Audio ~ The Toronto Hare Krishna Temple! On September 21, 2015, the Toronto Hare Krishna Temple celebrated the wonderful festival of Radhastami. Festivities included, kirtan prasadam a class and more! We are happy to share a nice video which summarizes the festival, made by one of our regular temple attendees, Carolina. There is also another video from our dear Sathi prabhu who faithfully captures most big festivals at the temple. We also have included audio recordings from the festival as well. The festival was certainly very special and now you can experience it all over again through the video and audio below!